In the rural areas there are many people who have never been able to see a doctor or a nurse, making them particularly vulnerable to preventable illness and disease. With a limited number of viable clinics, taking basic GP services to communities in far flung rural areas is a vital intervention in the fight against sickness and disease. Blood pressure checks and basic AIDS screening are among the services offered through medical camps. At least one GP will be available on each medical camp, for those with ailments or with issues highlighted from the screening. Sometimes other medical professionals, such as dentists or opticians, may also be available. 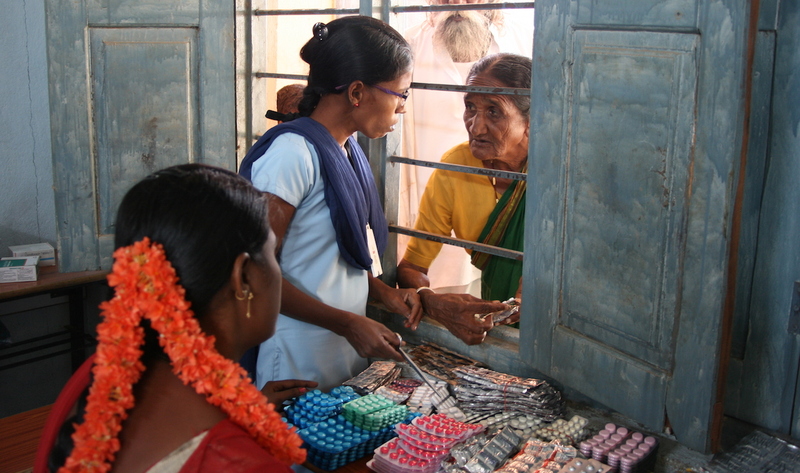 Prescribed medicines and drugs are made available at low cost. Patients can also be referred for tests or more specialized consultations and treatment.